In the last few weeks Gary McCollum has been out talking with voters about the issues that are important to our community. He has participated in forums and given radio interviews. Frank Wagner has been invited to all of these but hasn't showed up. The question is: Where was Frank Wagner? Monday, September 21st: AAPAC Candidate Forum. Wagner RSVPed, but did not attend. 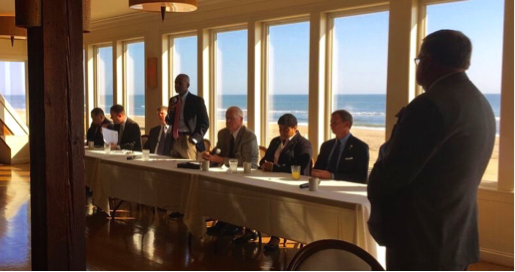 Thursday, October 8th: The Virginia Beach Restaurant Association and the Virginia Hospitality and Travel Association Forum. Wagner RSVPed, but did not attend. Wednesday, October 14th: Hearsay with Kathy Lewis, Wagner declined to appear. …before having to run off to another “event.” 9 other candidates were able to clear their schedules. “Where was Frank Wagner? His actions imply that he does not value the citizens of the 7th District. Instead of talking to voters about the issues they care most about, he is hiding behind negative TV ads. 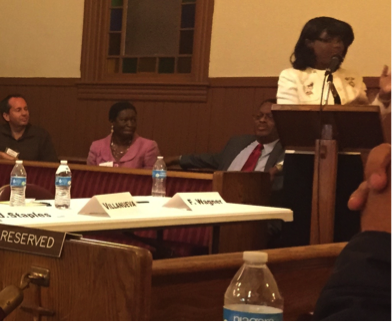 It’s clear – 24 years in Richmond is long enough.” Said campaign manager, Molly Ritner.